Welcome to Discover Africa’s Kruger National Park safari guide. Southern Africa’s most famous national park is a wildlife wonderland, drawing wildlife and nature enthusiasts to its pristine wilderness. Curate your holiday experience and let us do the rest for you. It couldn’t be more easy. Start your South African journey in the Timbavati Private Nature Reserve. Situated next to the Kruger National Park, it is home to a dozen of South Africa’s best luxury game lodges. Famous for the sporadic birth of rare, white lions, is it said to have the densest giraffe population in the world. Spot the Big Five during your game drives and nature walks as well as antelopes, over 40 mammals species and 350 bird species. The Sabi and the Sand rivers run through the reserve, which adds further dimension to the biodiversity of this area. As such, Sabi Sands offers the ultimate photographic safari. You can be certain to return home with some absolutely stunning pictures and memories. Besides the Big Five, other game species occur in great numbers. Among which are more than 300 bird species, making Sabi Sands the best South African safari destination for wildlife enthusiasts, photographers and bird watchers alike. On arrival at OR Tambo International Airport, you’ll be met and transferred to Kings Camp which is situated in the Timbavati Private Nature Reserve, adjacent and open to the Kruger National Park. The camp is positioned on the edge of a savannah plain scattered with acacia trees, offering gracious hospitality in a uniquely romantic setting … For two nights, enjoy all your meals and drinks in a bar or cool off in the swimming pool and relax around the traditional boma at night to watch the millions of stars while listening to the sounds of the game reserve. The reserve is a wildlife haven which boasts a diversity of animal life including the Big Five and the famous white lions. Go on morning or afternoon game drives, a walking safari with a knowledgeable ranger, or enjoy a day spa and gym session at the camp. After spending two nights at Timbavati Private Nature Reserve, you’ll be driven to the Leopard Hills Private Game Lodge. This will be your home for the next two nights with all your meals, drinks and activities included … The five-star luxury lodge is built on a hill and overlooks a natural waterhole close to the perennial Sand River. It is situated in the Sabi Sands Private Game Reserve - bordering the world famous Kruger National Park. Home to the Big Five, discover the exclusive leopards some of the endlessly fascinating small creatures of Africa through morning or afternoon game drives, nature walks and wildlife photographic experiences conducted by your knowledgeable, professional ranger. Each day is different as you enjoy the facilities on offer including a relaxing spa treatment overlooking the surrounding bush. While you are being pampered, you may see a herd of elephants drinking at the waterhole. Balule Nature Reserve on the western border of the Kruger National park encompasses 400km2 of unspoiled bushveld. This private nature reserve shares unfenced borders with the Kruger and neighboring private reserves allowing animals to roam freely … One of the largest rivers in the Kruger, the Olifants River, flows through the reserve and its waters and riverine forests attract high densities of mammals, reptiles and birdlife. This means that all the wildlife you see in the Kruger, including the famous Big Five, can be experienced in the Balule Nature Reserve too. Minus the droves of tourists of course. Balule boasts a wide range of small intimate lodges and camps that cater for those looking for an affordable private getaway, a family-friendly option or the ultimate in privacy, comfort and luxury. All-inclusive stays, as well as self-catering options, are available throughout the reserve. Daily game drives and bush walks with experienced rangers are the best way to spot the Big 5 and learn first hand about the local ecosystem. In Balule the rangers can track animals off-road, something not allowed in the Kruger, to provide the best sightings … Over August and October, balloon trips can also provide an astonishing vulture’s-eye view over the migrating wildebeest herds. There is hardly a more tranquil aerial experience than floating over the African savannah in a hot air balloon – just one of the activities on offer in the area. If you have the nerves, a more adrenaline-filled light in a microlight aircraft or white-water rafting can also be undertaken. For a more relaxed afternoon, you can book a boat cruise down the Olifants River. Several of the lodges offer day trips to the nearby Blyde River Canyon, the third largest canyon on the planet. It is a break from bush life in the Kruger and certainly a bucket list destination. Temperatures are high during the day, even in winter, so bring sunscreen, a hat and sunglasses. Light, long-sleeved clothing offers protection against the sun as well as from mosquito bites. Pack warm clothing too as evenings can get chilly. Wear neutral coloured clothing like brown, khaki and beige as bright colours make it easier for animals to spot you. In turn, dark colours like navy and black can attract insects. Balule is in an area at risk of malaria. Get advice from your doctor before you travel. The Klaserie Private Nature Reserve covers a whopping 600km2 of wilderness on either side of the Klaserie Rivier just west of the Kruger National Park. At Klaserie you’ll come face to face with the Big Five - lions, leopards, elephants, buffalo and rhino - as well as some of Africa’s less spotted species like wild dogs and cheetahs … Klaserie’s range of safari camps and lodges cater for familes, groups of friends, honeymooners and discerning travellers looking for exclusive luxury alike. Families should consider Makumu lodge where they can book an entire lodge without age restrictions for the youngsters, while the Klaserie Drift, Senala and Klaserie Camps offer fully catered or self-catering perfect for couples. For top tier luxury, look no further than the intimate riverside suites at Klaserie Sands River Camp or the classy exclusive suites at Baobab Ridge. A walking safari with an experienced ranger is one of the most exhilarating experiences in the African bush. You’ll not only see animals from a unique perspective but also be fully immersed in the sights and sounds of the flora. Twice-daily game drives in open 4x4 vehicles within the private reserves give you the highest probability to see animals. With experienced guides who are allowed to drive off road (unlike in public areas of the Kruger) you’ll tick off Big Five sightings in no time. Some lodges also offer night drives. You do not need special safari clothes, but neutral colours like beige, brown, green and khaki is recommended. It makes it harder for animals to spot you and be scared off and brighter colours often attract insects. Prepare for very hot days and bring a hat, sunglasses and sunscreen. Depending on the season nights and early mornings can be very cold, so be sure to pack some warm clothing too. Ask a medical practitioner about malaria medication before you leave, as this part of South Africa carries a risk. A course of prophylaxis is recommended. The Kruger National Park is world renowned for its spectacular wildlife. It is the largest nature reserve in South Africa and indeed one of the largest on the continent. At 360km long and 65km wide the surface area surpasses that of the nearby country of Swaziland! Despite its size, the density of wild animals found here is one of the highest on the planet, making for superb viewing opportunities no matter where you are in the park … The southern and central regions of the Kruger are most frequented by visitors and for good reason: the game viewing is most reliable here. It is your best bet for lion and leopard sightings, especially common along the Sabie River beween Lower Sabie and Skukuza. In central Kruger, the open grasslands are stocked with plenty of elephants while grass-feeders like wildebeest and buffalo attract predators like lion, cheetah and leopard. Finally, in the far north, your reward is not only solitude from the crowds of the south but also an area of great natural beauty as the landscape here transforms from sub-tropical to tropical. Large concentrations of baobab trees are particularly beautiful. Unfortunately, big game sightings are less frequent in this part of the Kruger, although birding, especially in the summertime is quite spectacular. Whether you are a solo traveller, a couple on a romantic getaway or a family looking for the quintessential safari adventure, Kruger caters for all. A host of accommodation options are a scattered across the park, ranging from campsites to family cottages, safari tents and exclusive guesthouses. The main camps are well stocked with modern amenities and most have shops, restaurants, pools and fuel stations. If you are after total exclusivity or the ideal honeymoon getaway, head for one of the private concession areas within Kruger. Each concession is home to a number of world-class luxury lodges that provide five-star accommodation and cuisine, personal game rangers and tailor-made experiences. The park has a superb avian population (over 500 species!) and keen birders can cross off dozens of sightings during a visit. Keep an eye our for the Big 6: the martial eagle, the ground hornbill, the saddle-billed stork, the kori bustard, the lappet-faced vulture and the unique Pel’s fishing owl. A number of guided walking trails, bookable at all main camps, offer a truly immersive bush experience. Hikers are accompanied by experienced armed game rangers who track elephant, rhino and lions on foot. Hikes vary in duration from a few hours to overnight excursions with catered dinners and luxury bush tents. Book well in advance for popular public camps like Skukuza and Letaba during peak holiday seasons in December and July. Avoid the holiday seasons altogether if you prefer less fellow visitors. Take precaution for very hot days and cold nights. Bring a hat, sunscreen and sunglasses for the daytime temperatures over 30°C and warm clothing for the chilly evenings. The Kruger is a malaria zone and it is advised that visitors take prophylactics. Consult your healthcare professional on a course of medication before you travel. When you look up at the night sky from a warm campfire you’ll understand where the Manyeleti, which means “Place of Stars”, got its name from. This 230km2 private game reserve, owned and run by the local Mnisi tribe, is wedged between the larger Sabi Sands and Timbavati game reserves on the western border of the Kruger … The borders are unfenced letting wildlife roam freely between the reserves. At Manyeleti the Big Five is just as abundant than in the rest of the Kruger, but other human visitors are much harder to spot since it sees much fewer visitors than the neighboring reserves. Keen birders will have plenty to tick off their lists though, as more than 300 species have been recorded in Manyeleti. Manyeleti offers guests three accommodation options: luxury safari tented camps, an exclusive manor house and a five-star luxury lodge. The two tented camps, Khoka Moya and Mantobeni, cater for couples and families respectively while the Tintswalo Manor House is the ideal private setting for groups. If you want the full monty in luxurious living (spa, private pools, library and wine cellar!) the Tintswalo Safari Lodge is where you want to be. Guided game walks led by experienced guides give you a different and unique experience of the environment and it is an exhilarating experience tracking animals on foot. 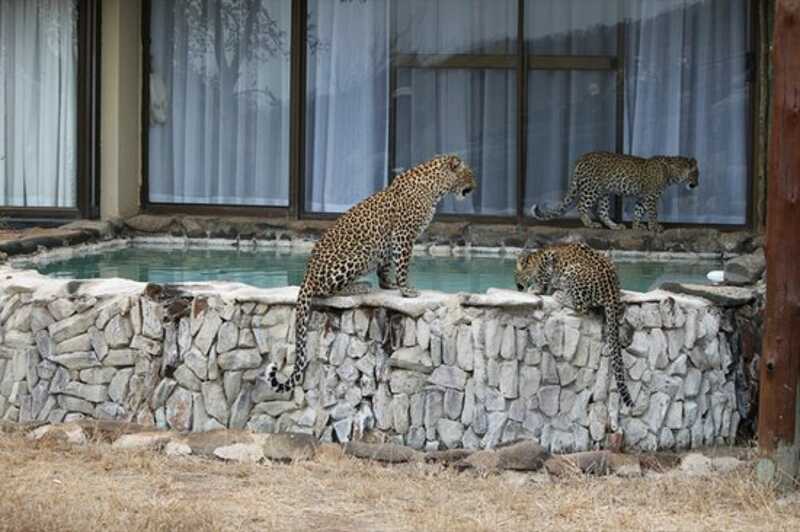 Leopard is notoriously hard to spot, but at Manyeleti they can be seen on a regular basis. An experienced guide who knows their territories and behaviors will give you the best chance of seeing these beautiful cats. All the lodges in Manyeleti have their own airstrips, so you can choose to travel directly to your accommodation in a small aircraft from the Hoedspruit, Kruger Mpumalanga or Phalaborwa airports. The low flying transfer is the most scenic way to kick off your African adventure! Come prepared for hot daytime temperatures and pack sunglasses, sunscreen and a wide-brimmed hat. In the winter the nights and early mornings are chilly, so bring something warm too. Manyeleti is in a malaria zone, so be sure to consult your doctor about recommended medication before you travel. Makalali Private Game Reserve is located on 260km2 of bushveld near the town of Hoedspruit on the western edge of the Kruger National Park. While the styling of the main lodges at Makalali feature more contemporary design elements than your typical safari lodge, the wildlife experiences are as quintessentially African as elsewhere in the greater Kruger area. It is home to the Big Five as well as populations of zebra, kudu, cheetah and wild dog … Makalali’s main lodge caters for the mid-range traveller looking for a safari experience with a touch of luxury while the river lodge is a private 5-star affair. The river lodge also caters for families, as do the more luxurious accommodation at Garonga. The Little Garonga Camp is an intimate and exclusive affair with only three suites, each with their own platform decks overlooking the bushveld. At the Safari Camp the setup caters for couples with six private luxury safari tents overlooking a dry riverbed frequented by animals. Take to the skies in a hot air balloon and experience the stunning African savannah from a unique perspective. The more adventurous can also enjoy flights over the reserve in a microlight aircraft. Golfing excursions can be arranged to the superb Hans Merensky golf course next to the Kruger National Park. Wildlife like giraffe and hippos can often be seen on the course. Who says a round of 18 can’t include some game viewing? The reserve is involved in a cheetah research project and a visit to the facility gives you the opportunity to see the world’s fastest land animal up close. African wild dogs, lions and wild cats can also be seen here. The nearest international airport is OR Tambo International in Johannesburg. A number of daily domestic flights service smaller airports and it is possible to fly to Hoedspruit. From here it is a short journey to the reserve. Alternatively, some lodges offer direct air transfers … Regular domestic charter flights connect Nairobi and the Masai Mara to Nanyuki Airport, from where it is a short drive to most sites of interest in the vicinity of Mount Kenya and the Aberdares. Bring warm clothing as it gets cold at night and a hat, sunglasses and sunscreen to protect agains the heat in the day. Dull colours like khaki, brown or green makes you harder to spot by animals and doesn’t attract insects as much as bright colours. Consult a healthcare practitioner about preventative medication against malaria since Makalali is located in an area of risk. Sabi Sands is often lauded as the most prestigious private reserve in South Africa and perhaps it is due to the reserve’s longstanding conservation efforts. The original reserve was proclaimed back in 1898 and by 1949 the landowners had merged their properties (mostly ex-agricultural land) into what is now the Sabi Sands Game Reserve … The huge 650km2 private reserve shares unfenced borders on the western boundaries of the Kruger National Park allowing animals to roam freely between the reserves. Thanks to the re-purposing of boreholes previously used for the farms into waterholes for wildlife, Sabi Sands can offer a year-round water source not affected by seasonal changes. This means you’re never far away from spotting the Big Five and the hundreds of other species that make up the greater Kruger population at any time of the year. Sabi Sands is all about luxury and exclusivity, so you won’t find day visitors, camping or public picnic sites here. The reserve’s wide range of lodges and camps (more than 20!) are styled for every taste - some are very affordable while others offer the crème de la crème in luxury living. Whether you’re looking for an immersive bush camp, secluded honeymoon suite or your own grandiose private villa, Sabi Sands has it all. The reserve has excellent photographic opportunities and guides that understand light, angles and composition to help you get that postcard shot of a lion yawning. Photographic safaris are on offer at several lodges. Daily game drives in open 4x4’s and walking safaris by expert guides are included in your stay. Wear natural colours like khaki, brown or green to avoid being easily spotted by animals and scaring them off. Remember to bring warm clothing as it gets cold at night and a hat, sunglasses and sunscreen to protect against the heat in the day. Sabi Sands, like the rest of the Kruger, lies within a malaria region. Consult your doctor before you travel as it is advised to take a course of prophylaxis. The 140km2 Thornybush Game Reserve is located near the town of Hoedspruit on the western border of the Kruger. The famous Big 5 - lion, leopard, elephant, rhino and buffalo - roam freely in the reserve while great numbers of plains game like giraffes, kudu, zebra and waterbuck can also be seen … Thornybush’s collection of twelve luxury lodges cater to solo travelers, groups of friends, couples and families alike. Your options here include intimate lodges like the picturesque NKaya lodge that only host eight guests at a time, deluxe private suites at The River Lodge overlooking the Monwana river and five-star villas at Simbambili Lodge that come with all the luxury trimmings you could possibly wish for. For the budget conscious traveler Thornybush provides a neat feature in its self-catering tented camp, called Nkelenga. This is a great option for groups or families looking for a balance between doing-it-yourself holiday living while still enjoying creature comforts like a full kitchen, housekeeping and swimming pool. Photographic opportunities are excellent at Thornybush. Your whole safari experience, including game drives and walks, can be specifically tailored to meet your photographic needs. Guided nature walks give you the chance to experience the African bush first hand and the rangers are keen to share local knowledge. With over 300 species in the reserve, birding is excellent. Tailored game drives with an experienced guide will have you tick rare and unique species off your list of bird sightings in no time. Extensive conservation studies have been done at Thornybush on the ultra-rare Pangolin. This elusive anteater is the most trafficed animal in the world and is critically endangered. While never a guarantee, your chances are good to spot one on a night drive at Thornybush. Bring warm clothing as it gets cold at night and a hat, sunglasses and sunscreen to protect against the heat in the day. Light long sleeved clothing serves as good protection from the sun too. Thornybush is situated within a malaria region. Speak to your doctor before you travel for advice on anti-malaria medication. The 130km2 Kapama Private Game Reserve lies just west of the Kruger National Park and a mere 10 minutes from the town of Hoedspruit. It is not only home to the Big Five, but the sprawling savannah grasslands and riverine forests straddling the Klaserie River in the east of the reserve sees more than 40 species of mammals and over 300 bird species … Kapama has four luxury lodges, each with their own individual flair. The bespoke villas overlooking the Klaserie River at Karula, is suited to the discerning traveler looking for the ultimate in privacy and comfort. The River Lodge, with its contemporary design, is a more social space perfectly suited to young couples and groups of friends. At the intimate Buffalo Camp luxury safari tents set amongst the treetops are linked together by elevated walkways. The Southern Camp caters for couples and families alike in luxury suites and villas. Karula and the River Lodge also offer accommodation suitable for families. Kapama offers a 2-day photography workshop led by a leading African wildlife photographer so you can hone your skills before heading out on game drives specifically aimed at photography. The Romantic Sleepout lets couples experience a night under the stars on a private platform in the African bush. You even get a private chef that will prepare a five-course dinner! Kapama offers the discerning traveler the option of flying directly to the reserve from both OR Tambo and Cape Town International airports in a privately owned aircraft. Bring warm clothing as it gets cold at night and a hat, sunglasses and sunscreen to protect against the heat in the day. Wear muted colours like khaki, brown or green to avoid being easily spotted by animals. Bright colours can attract insects. Kapama, like all of the Kruger, lies within a malaria region. Ask your doctor about malaria medication before you travel and bring insect repellent. Light, long-sleeved clothing can help protect against mosquitoes. 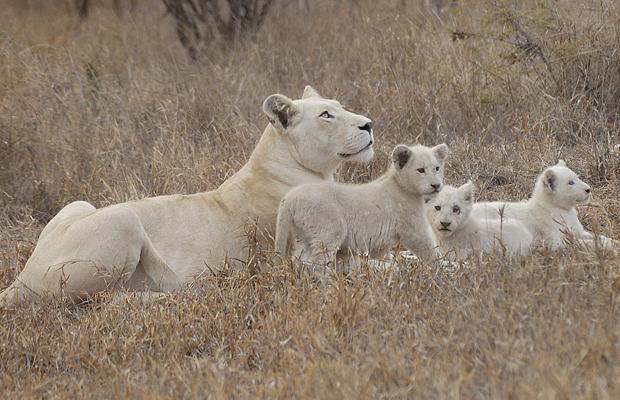 Timbavati Game Reserve is home to one of nature’s most magnificent creatures, the white lion. Ancient folklore tells of a time when the local Shangaan tribe saw a bright light streaking across the sky and crash on the African savannah. Shortly thereafter the lions of Timbavati began giving birth to snow white cubs. These unique lions have been regarded as sacred ever since … Timbavati Game Reserve encompasses a vast 580km2 of savannah on the western border of the Kruger National Park. The borders are unfenced and allow wildlife, including the Big Five, to migrate freely between the reserves. An abundance of plains game like kudu, giraffe, wildebeest, buffalo and waterbuck can be seen while the endangered African wild dog is also often spotted in Timbavati. The collection of luxury lodges at Timbavati caters for the traveller looking for a touch of class. Your African safari need not be without spa treatments, private pools and five-star cuisine! Walkers River Camp, Jaydee and Eagle Owl are three exclusive self-catering camps offering families or groups of friends a truly secluded safari experience while still providing all the amenities that you’re used to at home. Photographic safaris can be tailored to your needs. Professional photographers with specialised game drive vehicles will give advice, tips and can arrange additional gear if needed. Daily personalised game drives and bush walks greatly increase your chance of animal sightings. The traditional knowledge shared by the skilled rangers is invaluable too. 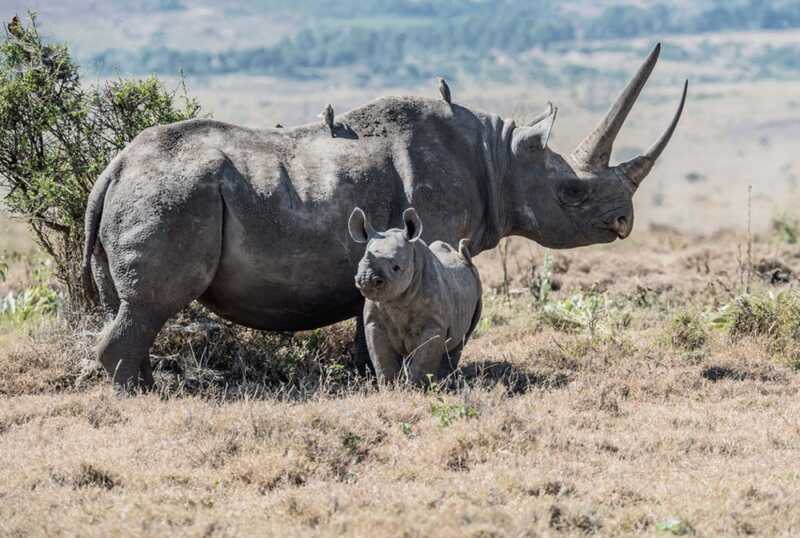 Timbavati is aiding rhino conservation by micro-chipping their rhino population. Guests at the Kings Camp have the opportunity to participate in the tracking and darting process. Some of the lodges in Timbavati have private runways and you may opt to travel (approx. 1 hr 30 min) by scheduled flight directly from Johannesburg to your accommodation. It gets very hot in the day so bring a hat, sunglasses and sunscreen. You’ll need to pack warm clothing too as evenings and early mornings can be chilly. Malaria is a risk in this part of Africa, so it is advised to speak to your doctor about a course of prophylaxis before you travel. When to visit Kruger National Park? The Kruger is at its hottest during the month of January. You’ll want to be in the shade during mid-day as temperatures regularly soar over 30°C. It’s also the rainy season which brings mild humidity and afternoon thunderstorms. Evenings are generally warm and pleasant. The holiday season in South Africa lasts until the second week of the month, so to avoid the crowds it is best to head for the north of the park, one of the private concessions within Kruger or the several private reserves along its borders. Besides, the oasis of a luxury lodge (personal splash pool, anyone?) is the best place to be in the summer heat. Game drives in these areas deliver better results than self-driving in the Kruger, as the expert game rangers can track animals off the beaten track. The rainwater turns the African savanna beautifully lush and green, but it also means animals are harder to spot. More available water keeps them from congregating at larger water holes too. Birding, however, is great since large numbers of migratory species can be seen. Daytime temperatures remain in the high 20’s and can sometimes rise into the mid-30’s. February sees the last of the summer rainfall and the occasional late afternoon thundershower can occur. The evening temperatures are usually mild. Birding is excellent during the summer months and the far northern regions (Punda Maria and Pafuri) of the park are especially exceptional since it sees a large number of migratory species this time of year. Since the vegetation in the park is very dense this time of year, game viewing is better done in the private reserves where expert game rangers are able to track the animals off-road, something that is taboo within the Kruger. Summer weather makes game viewing harder for a number of reasons: animals have plenty of water and are not drawn to larger water holes, they prefer to stay put in the shade during the day and thicker vegetation makes them harder to spot. On the flipside the greenery is great for landscape photography, birding is good and many summer-born animals can be seen. March is the last of the summer months in the Kruger and while daytime temperatures are dropping, you can still expect fairly hot days, pleasant evenings and the occasional afternoon thundershower. March is generally a quieter time in the Kruger than the months leading up to it, so the southern and central regions see much fewer visitors. Head for the roads that run along the riverbanks between the camps of Skukuza and Lower Sabie (Sabie River), Olifants and Letaba (Letaba and Olifants Rivers) and Olifants and Satara (Timbavati). You’ll see fewer visitors in the Kruger and the thick green and leafy vegetation makes for beautiful landscapes, but it also makes game viewing harder. Furthermore, the abundance of water throughout the park means that fewer animals tend to congregate around larger water holes. The month of April brings autumn to the Kruger and the vegetation in the park begins a gradual fade from lush bushveld to a dry brown and yellow palette. Rainfall decreases but the occasional afternoon thundershower still occurs. Daytime temperatures remain hot while nights are getting cooler but not cold. For the best probability of seeing animals, the private concession areas and game lodges on the western border of the Kruger are a good bet. Here the expert guides are able to track animals better in the thick vegetation. April is also the last month in which birding is still good in the northern regions of the park – as soon as winter begins to arrive the migratory species depart for warmer climates. April often has good weather with clear skies so it is a pleasant month in terms of weather, but the park (excluding private concessions and reserves) gets very busy during the Easter weekend at the end of the month. Finding accommodation in the public camps of the park can be difficult. May heralds the turning point where the climate starts to transition into winter in the Kruger. Towards the end of the month, the rain begins to dry up and the landscape becomes dry and dusty. Daytime temperatures remain warm and pleasant while evenings start getting cooler. Cooler temperatures make venturing to the far north of the park more pleasant and the thinning vegetation helps in spotting the less dense populations of animals here. May is generally your last chance to see the landscape flourishing before winter sets in and turns the vegetation dull and brown. However, the central and southern regions see fewer visitors this time of the year and due to higher populations of animals still offer the best game viewing opportunities. Flights tend to be cheaper this time of the year before going up for June/July holiday season. The park also sees fewer visitors in May. On the flipside, however, if you enjoy sweeping green landscapes this is not the time of the year to visit as the impending winter season turns the vegetation brown, leafless and dull. Winter is here! June is the both the coldest and the driest month in the Kruger. Daytime temperatures are mild and humidity is low, but evenings and early mornings can get quite cold. The southern and central regions of the Kruger are best for game drives during winter since there are more rivers and other water sources, meaning these regions they carry a higher population density of animals. There are also more accommodation options here (besides camping) and you might be interested in staying indoors in the cold evening weather. From June onwards the Kruger’s animals, and specifically the elusive big cats, become easier to spot in the sparse vegetation and they tend to move around a bit more in the cooler temperatures. Evenings and early morning game drives are quite cold, however, and the bushveld is not as pretty as in the summer months. July is second only to June as the coldest month in the year and equally dry. ‘Cold’ in the Kruger however only really applies to nights and early mornings, since the daytime temperatures are usually quite comfortable and even fairly hot on some days. The northern parts of the reserve receive fewer visitors which make it a good option if you want to avoid crowds. However, there is a greater density of animals in the south, especially when it comes to predators, which makes it your best bet for good sightings. Explore the areas adjacent to the Sabie River: Satara, Skukuza and Lower Sabie. The winter landscape is dull and dry, but that is a good thing for game viewing as the vegetation is sparse and the grass low, making animals easier to spot. The cooler weather and low humidity make for very pleasant days in the park, but South African school holidays as well as European summer holidays make July the Kruger’s second busiest time of the year. Things are slowly starting to warm up during the month of August, but rain is still absent and the climate remains dry. Humidity is low, daytime temperatures sit in the mid-20’s and evening temperatures are mild. August is the middle of the dry season and water sources for the animals are scarce. For the best game viewing opportunities it is best to stay in the central and southern regions of the park where there are more water sources and a higher density of animals. August is a good month for game viewing since the rainless winter season thins out the vegetation, making it easier to spot animals. Camping can be uncomfortable in the colder night temperatures. Spring arrives a little later in the Kruger, so this month the flora does not experience a colourful transformation. In fact, vegetation is still sparse and colourless after the rainless winter. Temperatures in the day are hot and humid with little to no rain expected. At the end of the dry season in September, the vegetation in the Kruger is at its sparsest. For this reason, it is regarded as the best time of the year to visit the Kruger and any of the large permanent water holes make for good animal sightings. Stick to the southern and central regions for the highest density of animals. The risk of malaria is low and you’re likely to find large concentrations of animals at watering holes at this time of the year, but the days are often uncomfortably hot, dry and dusty. The rainy season is around the corner and you might encounter the first thunderstorms to the end of the month. Slowly but surely the greenery returns to the Kruger. Days are hot and often quite humid while evenings are warm. Spring blooms can be seen from this month onward. October is at the end of the dry season in the Kruger and after not seeing rain for months water sources are few in the park. Bad news for the animals, but good news for visitors as the sightings tend to be great at the remaining water sources. It is a quieter time in terms of visitors so your best bet is to visit the southern and central regions where there are high densities of animals. Alternatively, stay at one of the various private reserves on the western border of the park where daily game drives provide ample viewings. The risk of malaria is low at the end of the dry season and animal sightings are best this time of year. Unfortunately, days can be hot and dry and the landscape is parched. The first proper rain of the wet season starts to arrive during November in the form of the occasional afternoon thunder shower. Expect hot and humid days and balmy evenings. The southern section of the park has the highest density of animals and in terms of visitor numbers, November is the calm before the storm of the end-of-year holidays. The upper central and far northern regions start seeing the first arrivals of migratory bird species and are a good bet for birding focussed safaris. November is a great time to spot baby animals and the young impala, one of the most abundant antelope species in the park, are especially cute. It is a quieter time of the year too as most South Africans plan their visits for the December holidays. On the other hand, humidity is high and the risk of malaria increases. The last month of the year is extremely hot as well as the wettest in the Kruger. Expect plenty of rain with hot and humid conditions as daytime temperatures climb well above 30°C. Evenings can be equally hot and humid. December is high season, so the whole of Kruger gets pretty busy. Head for the northern parts of the reserve where fewer visitors venture if it is solitude you are after. However the north has lesser densities of animals, so for the best game-viewing opportunities, you might consider the private concessions in the park and the private luxury reserves on the Kruger’s western perimeter. These areas provide exclusivity and much less crowded game viewing. Many baby animals are born this time of year to coincide with the abundance of water and food sources. This makes for special sightings even though the lush vegetation makes game viewing harder than in winter. The downside is that this is peak season and the park is packed with visitors. Additionally the hot and humid weather might not suit everyone. Picture this: A fierce red sun kisses the horizon as the last rays of daylight bathe the camelthorn trees around you in a warm glow. At the waterhole in front of you a mother elephant helps her newborn take a mud bath while an elegant giraffe kneels nearby for a drink. You sip a sundowner and watch as a troop of baboons groom each other, a pod of hippo snort in the water and a herd of impala antelope nibble away at an early dinner on a grassy embankment. As the heat of the day fades, a palpable serenity descends on the world and another magnificent African day draws to an end. This is not just some idyllic scene from a nature documentary; this is daily life in the Kruger National Park. It is easy to see why the Kruger National Park is consistently rated as one of the top safari destinations in Africa. The enormous 20 000 km2 park is not only home to the famous Big Five (elephant, rhino, cape buffalo, lion and leopard) but it also boasts an incredibly diverse African savanna biome. More than 140 species of mammal, including oddities such as the shy aardvark and the fierce honey badger, call it their home while over 300 species of trees stand proudly scattered across the landscape. The Kruger National Park is a birder’s paradise, so be sure to pack your binoculars and keep an eye out for a large variety of raptors, vultures, storks, kingfishers and weavers among the 500-odd species. Each season brings its own flavour to the Kruger, changing the features of both the landscape and animals, meaning no two visits are alike. Summers are hot, humid and full of rainfall that drapes the landscape in a lush green grassy cloak. Winters are a dry affair, but much cooler and excellent for game viewing. While wildlife is certainly the main attraction, the Kruger has another major drawcard: its world-class lodgings. Since becoming South Africa’s first official national park in 1926 the Kruger has systematically established a wide range of accommodation options in a dozen main camps, several bushveld camps, private lodges and four remote satellite camps. Whether you fancy camping, self-catering cottages, family units, guest houses, luxury lodges or even your very own private villa, you’ll be spoilt for choice throughout the park. Besides the accommodation within the Kruger, a host of private game reserves on park’s western perimeter share unfenced borders with the Kruger which means you can also experience the park’s abundant wildlife from a number of exclusive 5-star luxury safari lodges. Here you’ll enjoy everything from personalised game viewing experiences and spa treatments to exceptional cuisine and more, all with little to no other visitors. Ease of access completes the trifecta of the Kruger’s best features. The park lies a mere four to six hours from the nearest international airport (OR Tambo in Johannesburg) making travel to and from the reserve a breeze. You can even travel via a charter flight and cut travel time to under two hours. Getting around in the park itself is made easy by an extensive network of tar and good gravel roads. You won’t need a 4x4 or a GPS to find your way here. The Kruger National Park is a place that can be visited for a lifetime without ever running out of sensational experiences. Thanks to nearly a century of conservation efforts Mother Nature’s circle of life remains largely untouched in the reserve. Best of all, you can easily and comfortably observe it all without the need for a David Livingston-style expedition. The Kruger is without a doubt a place where the warm heart of Africa still beats strong. Spend enough time here and you’ll soon find your own heart beating to the same rhythm. The park’s proximity to the OR Tambo International Airport in Johannesburg (only a 5-hour drive away) means that you could arrive in South Africa in the morning watch the sun set over the African savannah by the end of the day. All major car rental companies have counters at the airport and self-driving affords the opportunity to add other scenic destinations, like the Blyde River Canyon, on the way to the Kruger. Alternatively, scheduled flights to local airports near the Kruger cut travel time significantly. The budget-conscious traveler might choose to stay at one of the various self-catering chalets, guest houses or lodges and do self-drive game viewing in a rental vehicle. However, for the ultimate in privacy and luxury it is best to head to one of the dozen-or-so private concession lodges within the Kruger or the collection of luxury private reserves on the western edges of the park. Here you’ll enjoy opulence to the finest detail: secluded suites with sensational views, private pools, outdoor rose (or champagne!) baths and exquisite cuisine set the scene for the very best romantic getaway. The rest is up to you! Several of the private game reserves offer treehouse experiences: a night under the stars on a secluded raised platform in the bush. There is no better way to spend an evening with a loved one, not to mention the fine dining provided by your own personal chef. Speaking of meals, why not try traditional gourmet cuisine under the open African sky? Various lodges offer a bush banquet set in the open bush framed by lantern light and the Milky Way overhead. Many of the couples-orientated packages at the luxury reserves include personal game drives and bush walks with an experienced game ranger who will tailor the experience to your specific preference, such as photography, birding or spotting rare species at night. Spa treatments are a quintessential luxury on any honeymoon and when you stay at one of the luxury lodges you can expect the very best. Want to keep active during your stay? Gyms, yoga classes and wellness centers are on offer at most lodges too. Most of the luxury lodges offer all-inclusive packages specifically aimed at couples. Book one of these and you won’t have to worry about a thing from start to finish. Honeymoon packages that include activities and experiences specifically aimed at couples are often offered at a discount. Combine a trip to the Kruger with a visit to one or more of Southern Africa’s other top attractions like Cape Town, Victoria Falls and Mauritius. Several lodges and tour operators offer such combo packages. Scheduled flights from OR Tambo arrive and depart daily from local airports (Hoedspruit, Nelspruit, Phalaborwa or Skukuza) near the Kruger which cut travel time to under 2 hours. From here a short transfer gets you to your lodge. Several lodges have private airstrips so direct fligts are possible too. The Kruger National Park sits right at the top of family-friendly safari destinations in South Africa. The park prides itself on being accessible to young and old alike and many South Africans will confess to cultivating a life-long love for the African bush from an early age in the Kruger. A family holiday in the Kruger is best done in one of two ways; either self-driving or choosing an all-inclusive package at a private lodge. Both options have their own unique appeal depending on the type of holiday experience you’re after. Long hours in the car are always a concern when travelling with children, but the Kruger is only an easy five-hour drive away from the nearest international airport in Johannesburg. All major car rental companies have counters here and offer vehicles suited to families. Alternatively, you might opt for a shuttle service when staying at an all-inclusive luxury lodge. En-route to the Kruger National Park, whether self-driving or by lodge transfer, there are plenty of rest stops and one can even turn it into a scenic road trip of sorts by including some of the sights on the stunning Panorama Route. Once inside the park, the vast network of good tar and gravel roads make getting from one place to another equally comfortable. Exploring the park in your own vehicle means your family stays together and you can plan outings according to personal preference. If you are traveling with toddlers, this is the only way you can take them on game drives in the reserve as children under the age of 6 are not allowed (for safety reasons) on the game drives in open 4x4 vehicles provided by the park. Similarly, only children over the age of 12 may join guided bush walks. The southern and central regions of the park are more family-friendly than the far north, since distances between rest areas are not so spread out, the landscape is more varied and animals are more abundant. Skukuza, Satara, Lower Sabie, Letaba and Berg en Dal camps are superb options for family orientated accommodation since they offer restaurants, shops, swimming pools, child-friendly activities, museums and movie screenings. Although staying at a luxury lodge is naturally more costly, the experience is wholly more personal with offerings such as private family villas, your own guide in an open 4x4 game viewing vehicle and special activities for children. Rent an SUV or a 4x4 with good ground clearance for your visit to the park. Not only does the additional height of the vehicle make for better game viewing but the extra space will come in handy for luggage and make the time spent on the back seat more comfortable for the youngsters. Some rental companies offer fully kitted camping vehicles with enough equipment and tents for the whole family. This is a great all-inclusive option if you plan on camping in the Kruger. The kids might not like getting up early on holiday, but in the Kruger, it is worth it. The early mornings are best for game viewing, not to mention cooler than during the day. Same goes for late afternoon game drives. Grab a map of the park at an entrance gate or a camp shop. You’ll need it to navigate the park when self-driving. When travelling with small children, bring some games, puzzles and books along to entertain them during leisure time in camp or long drives in the car. All the main camps have restaurants with reasonable prices and small shops for self-catering, so there is no need to over pack your car with food supplies. Kruger National Park might be one of the wildest places in Africa and home to the biggest land mammals on Earth, but that doesn’t mean that it is out of bounds for the solo traveller. The extensive network of tar and good gravel roads makes getting around a breeze and a wide selection of accommodation suits every budget. The myriad of campsites are a great DIY option, while safari tents, chalets and guest houses offer all the creature comforts (plus the marvel of air conditioning) that you are used to at home. If you are looking for a touch of exclusivity and personalised service, take your pick from one of the private concession areas within the park or the multiple five-star luxury lodges that border the Kruger. In the private concession areas and private game reserves, you’ll arguably get a more personal experience than going it solo in the public areas of the park. Daily game drives with an experienced ranger come as standard at most luxury lodges, birding and photography excursions can be tailored to your preference and shuttle services to and from airports eliminate the need to rent a vehicle. Last but not least, all meals are taken care of. The southern and central regions of the Kruger National Park are your best bet for spotting large populations of animals, comfortable accommodation facilities like restaurants, fuel stations and shops, and not to mention other friendly faces to chat to. If you are a veteran of solo travel and have the time, then the northern part of the park is much less populated with stunning, unspoiled landscapes. There, in the seemingly endless vistas, you might just discover that elusive self-reflection that inevitably finds the solo traveller. If you plan on spending multiple days in the reserve and/or plan to move between different camps, you’ll need a vehicle. The roads are superb, so any vehicle will do, but if you are planning to camp you may want to consider renting a camper van or kitted-out 4x4. A larger rental vehicle like an SUV or 4x4 can aid game viewing since it has a height advantage, especially in the summer when the grass is tall. There is no public transport within the park. If renting a vehicle is not an option, or you prefer not to drive, rather stay at one of private lodges in the greater Kruger where shuttles services and daily game drives are included in your stay. Be sure to buy a map of the reserve at the entrance gate or a camp shop. You’ll need it to navigate through the Kruger on your own. All the main camps have restaurants with reasonable prices and small shops for self-catering. You can also book guided drives and walks with rangers from here. Several overland and hop-on/hop-off tour operators offer multi-day guided trips to the Kruger. Join one of these and you’ll not only meet fellow travelers but your accommodation, meals and game drives in the park are included. The Kruger National Park is certainly the most well-suited safari destination for budget-conscious travelers. More than a century of conservation efforts have made sure that the magic of the African bush and its incredible wildlife is accessible to all who visit the Kruger. Getting to the park is easy – from the nearest international airport, OR Tambo International in Johannesburg, a comfortable drive along the N4 highway will get you there in under five hours. All major car rental companies have counters at the airport offering a comprehensive range of rental options. One of the Kruger’s best features for those on a budget is that you are able to conduct game drives in your own vehicle. The well-maintained road network (mostly tarred or good gravel) within the park means you do not need to hire an expensive 4x4 - a regular hatchback or sedan will do the job equally as well. The cost of accommodation usually takes a large chunk out of any travel budget, but luckily the Kruger has a wide range of affordable options throughout the length and width of the 19 485km2 park. The southern regions around Lower Sabie, Skukuza, Berg-en-Dal and the central regions near Letaba and Satara offer more bang for your buck in terms of facilities and game viewing opportunities alike. These regions are also more easily accessible than the far north, meaning that you spend less time traveling to and from your destination and more time experiencing wildlife or leisure time at camp. Camping is the most affordable accommodation option and the main camps of the Kruger all have plentiful facilities such as restaurants, swimming pools and grocery shops that make for a most comfortable stay without breaking the bank. Traveling in the Kruger on a budget doesn’t necessarily mean you have to camp though, as many of the camps also offer reasonably priced safari tents, chalets and guesthouses. These are especially good options for groups of friends and families. While there is no denying that a luxury safari lodge is an experience bar none, there is plenty of benefit in a more hands-on approach. You curate your own experience by setting own schedule, planning daily excursions and in many ways seeing the Kruger the way the locals do. Book accommodation well in advance if you plan on traveling during Easter, the school holidays in late June/early July or the month of December. The park is at its busiest during these periods. Many car rental companies offer camping ready vehicles that are fully kitted with all equipment needed for setting up a campsite. This is a much more convenient option than sourcing camping gear separately. The park offers guided bush walks from all the main camps which are an exceptional way of experiencing the wildlife of the Kruger. Game drives in open 4x4 vehicles are also on offer and are a good way to supplement your own game viewing. Several overland and hop-on-hop-off bus tour operators offer all-inclusive travel packages to the Kruger National Park. These tours typically include transport to and from major cities, accommodation (camping) in the park and game drives. For the traveller who doesn’t want to rough it, but is also not partial to having the utmost in luxury, the Kruger National Park offers a surprising array of mid-range safari options. Part of making your visit to the park more affordable lies in how you put your trip together: shave off a spa treatment here and a five-course dinner there and soon you’re left with most of the luxury, but much less of the cost. Instead of taking a charter flight or shuttle service directly to your lodge, hire a car at the airport and make a road trip out of the journey to the Kruger National Park. The world’s third largest canyon, the Blyde River Canyon, is en-route to the Kruger and certainly worth a visit, not to mention other nearby sites like Sabie’s Waterfall Route and the quaint village of Pilgrim’s Rest. A great way to enjoy the Kruger National Park is to split your stay between one of the public camps of the park and a lodge within one of the private concession areas. This means you’ll have time to self-drive in the park which is a great hands-on game viewing experience. Once within the exclusive concession area, a seasoned guide will use his or her expertise to show you the very best of the African bushveld. As a bonus, these guides are allowed to conduct game drives outside of their concessions into the public areas of the park to give you an optimal chance of spotting elusive species such as the beautiful leopard. Several of the private luxury reserves along the unfenced western border of park, known as the Greater Kruger, contain affordable lodges, guest houses and tented camps aimed at a mid-range budget. Self-catering is an option in some of the camps and guest houses, many of which you’ll have exclusive use of if you book the whole camp or house. Stay at these and you’ll save on some of the over-the-top frills while still being able to enjoy treats like guided game drives and walks. Here guides are allowed to track animals off-road and at night – something you are not allowed to do on your own in the public areas of the Kruger. Travel in the off-season when both flight and accommodation prices are lower. The winter season, from May to September, is less busy in the Kruger yet still excellent for game viewing. Keep an eye out for package deals as many of the lodges offer free nights and discounted offers. Rent an SUV or a 4x4 vehicle as the added height is helpful for game viewing, especially in the summertime when the grass in the Kruger stands tall. The extra interior space is also welcome on long drives and for luggage storage. Several rental companies offer fully kitted vehicles that are camp-ready with rooftop tents, awnings, kitchen setups and chairs and tables. Larger vehicles also cater for groups or families. Staying just outside one of the main gates of the park – in Hazyview, Phalaborwa or Nelspruit for instance – and doing day trips into the Kruger is often comparatively more affordable. The Kruger National Park consistently ranks among the very best luxury safari destination in Africa. It comes as no surprise then that the private concessions and private game reserves here spare no expense when it comes to absolute opulent living in the heart of the African bush. While the vast expanse of the public areas of the Kruger National Park is meant to cater for all, you’ll want to head to one of the private concession areas if all-out indulgence is what you’re after. Here all your needs are taken care of from the moment you set foot in these exclusive sections of the park to the moment you leave. The concessions are set in prime Big Five country and are unfenced, meaning you get to experience exceptional game viewing minus the crowds. The private game reserves on the western perimeter of the Kruger, many of whom share unfenced borders with the park, are arguably a step up from the concession areas. Here the lodges, luxury tents and villas are set in the most spectacular environments possible and the views from your suite or villa are often worth the trip alone. Most lodges offer personal guides, housekeeping staff and chefs and customize your stay according to specific needs. And did we mention private swimming pools, wine cellars, libraries, rooftop viewing areas, five-star spa treatments, therapeutic massages, wellness centers… the list goes on! Both the concession lodges and private reserve lodges offer activities not found elsewhere in the park, such as night time game drives, off-road tracking of animals and activities specifically developed for children. Several lodges offer tailor-made experiences that might focus on photography, romantic getaways, birding and even fine dining. Speaking of dining, the cuisine at the luxury lodges are world class offerings with a distinctive African flair. What’s more, meals are often set in spectacular bush settings. Ever had breakfast while overlooking a waterhole teeming with wildlife? How about high tea under an ancient African acacia tree? You simply must try a lavish five-course dinner prepared by your personal chef with the Milky Way shimmering over an atmospheric lantern-lit banquet. Most lodges offer direct air transfers to and from the nearest international airport, OR Tambo, in Johannesburg. However, some lodges offer direct or connecting flights from other popular destinations such as Cape Town, Victoria Falls, Vilanculos and Mauritius. Speak to a dedicated safari expert who’ll curate your Kruger National Park safari, as well as connecting destinations, to your specific needs. There is no better way to distill the myriad of options in the Greater Kruger to your personal itinerary, budget, family size and expectations. Several lodges offer private and secluded villas for exclusive use. This option caters for the discreet individual, couple or family by providing personal housekeepers, chefs and game rangers for the duration of your stay. A host of personalised activities and excursions in the Greater Kruger and nearby regions may be arranged from your lodge. These include, but are not limited to helicopter, hot-air balloon and microlight flights over the stunning Blyde River Canyon; golfing at the world-class Hans Merensky or Leopard Creek Golf Estates; and customised photographic, horseback and birding safaris.